The Oswego County Legislature’s Health and Human Services Committee recently presented Deborah Larkin with a certificate of appreciation for her 25 years of service to the county. Larkin is an employment specialist at the Oswego County Department of Social Services. 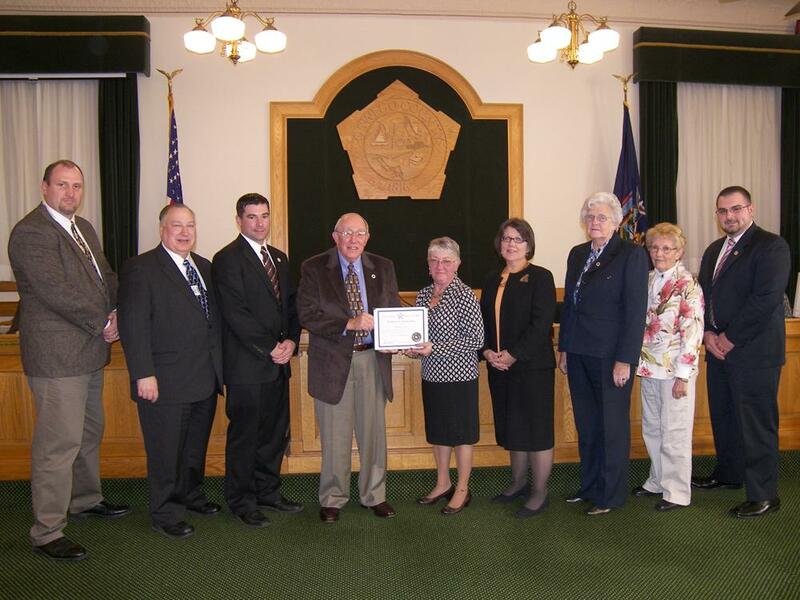 Pictured from left are Legislators Kevin Gardner, District 13; Ronald Sakonyi, District 5; Jacob Mulcahey, District 15; Committee Chairman John Proud, District 7; Larkin; Oswego County Department of Social Services Commissioner Frances Lanigan; Committee Vice Chairwoman Barbara Brown, District 8; Margaret Kastler, District 1; and Terry Wilbur, District 21.